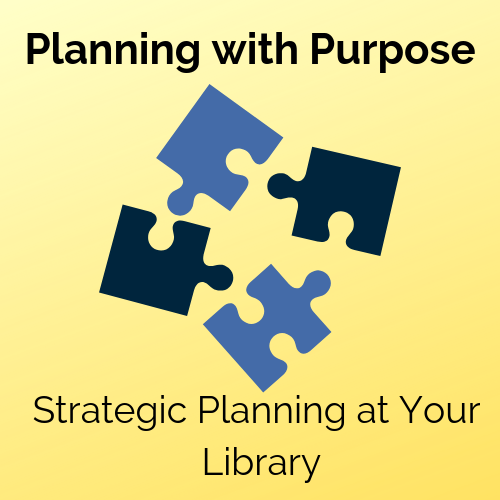 Creating a strategic plan for your library may seem daunting, but it can become an essential tool for deciding on priorities, expressing library value to the community, and being future-ready. With the knowledge of how this living document serves your library and community, no matter your size or type, your library can take on this important directive. This workshop and discussion provide opportunities for directors and administration, staff, and trustees to come together and learn how important planning is for library growth and development. Attendees will learn why a plan is critical no matter the size of the library, discuss the different processes libraries can use to create a plan, and what should be included in a plan to make it successful and acceptable to the MBLC. There will be an open time for conversation to allow attendees to share questions, concerns, and stories. This workshop is aligned with the 2017-2019 MLS Strategic Plan goals of future-readiness, strong Massachusetts library community, and alignment with MBLC. Join us for the afternoon workshop, too! Strategic Planning: Tips, Tools, and Techniques. Register separately for both programs. We’ll break for an hour in between the morning and afternoon workshops. Bring your lunch or enjoy the local cuisine.